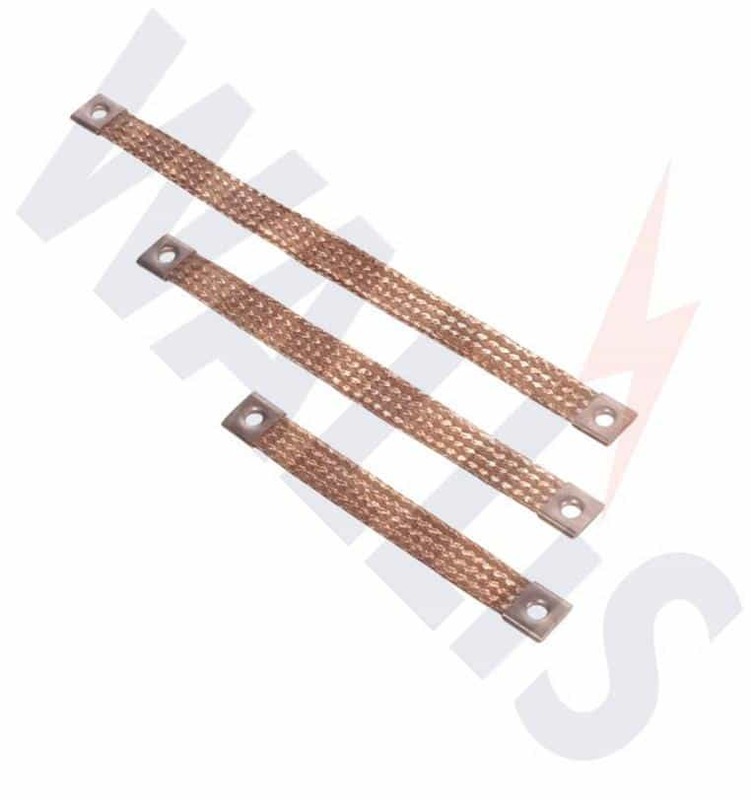 T&D distribute the complete range of Flexible Copper Earth Braid Bonds that are used for bonding metal gates, doors and fences in the vicinity of commercial and industrial buildings including LV MV HV substation earthing. 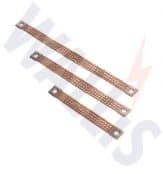 Flexible copper earthing assemblies, earth bonding groundstraps and earth braid links overcome vibration and alignment problems – high current assemblies for LV-HV interconnection of power distribution units and earth connections. Earth straps and bonding leads are also available in stainless steel. Other lengths, sizes and customised copper earth bonds are available on request. ➡ Contact T&D for the complete range of copper earthing products, including earth tapes, earth rods and earth bars, manufactured by AN Wallis. To complement Earthing & Lightning Protection products, T&D distribute the broadest range of MV HV Joints, Terminations & Connectors.